Montreal psych rock band Chocolat will be making their way to the much warmer climes of Austin, TX for SXSW, where they’re currently scheduled to play four shows, among them the official Levitation showcase on March 17 at Hotel Vegas with Younghusband, Exploded View, LA Witch, Vaadat Charigim, Elephant Stone and more; and the M for Montreal showcase on March 19 at Barracuda with DOOMSQUAD, The Posterz, Michael Rault, Look Vibrant, Milk & Bone, and more. Their full schedule is listed below. 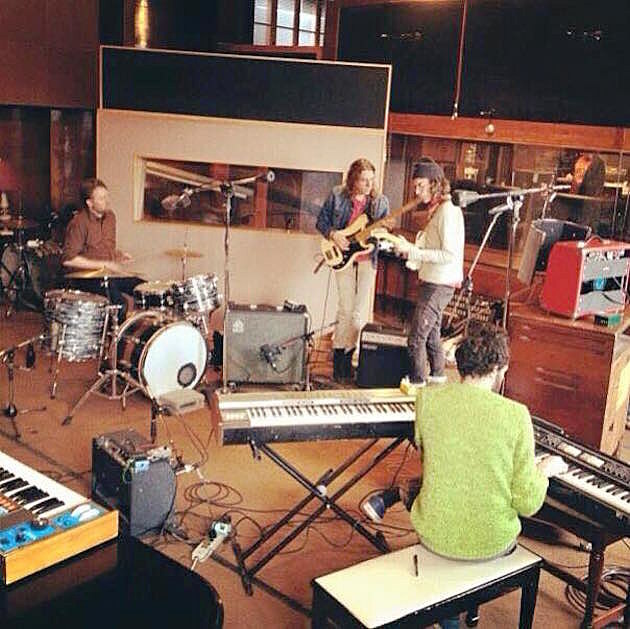 Chocolat, who played BrooklynVegan’s official M for Montreal showcase last year, are currently finishing up their follow-up to 2014’s Tss Tss. If you haven’t heard Tss Tss, it’s not your average slab of psych-garage, that makes surprising detours into prog and four-part harmony-laden sunshine pop. Stream it below. If you’re heading to Austin next week, make time for some Chocolat — but wear earplugs, they’re crazy loud. That M for Montreal showcase is one of two events the M folks are putting on at SXSW. The first is Wednesday, March 16 at the Canada House (aka (Friends) with The Posterz, rapper WASIU, and more. Right before the 3/19 showcase at Barracuda is M’s annual free Poutine Party (co-presented by Pop Montreal) with gravy-drenched fries and squeaky cheese curds, and a performance by Saxsyndrum. 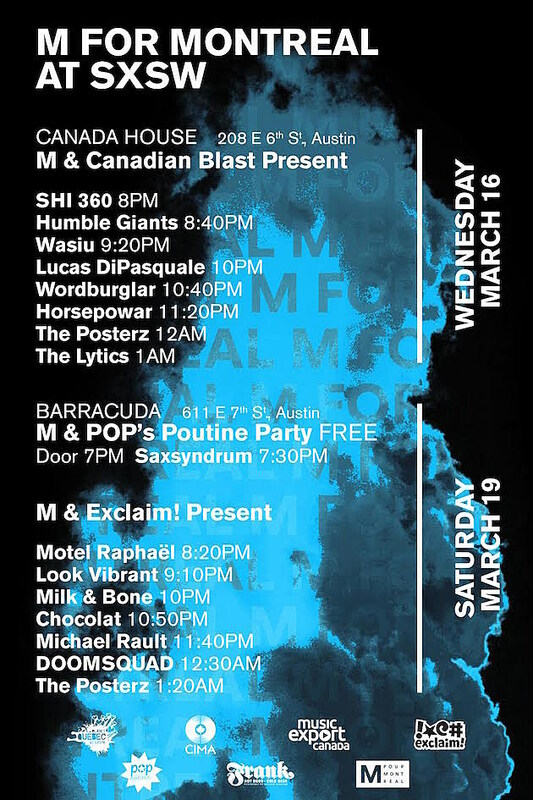 Full lineups for both M for Montreal SXSW shows are listed below.